GKN Driveline is the industry leader in the development of CV Joint Systems, delivering not only new technologies but the global production network. With a focus on efficiency, performance, refinement and functionality, GKN’s CV Joint Systems set the industry benchmark. 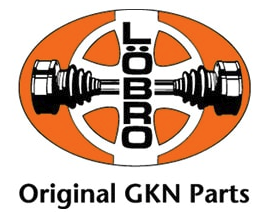 Löbro supplies original GKN parts for the global replacement demand, including a comprehensive range of automotive CV Joint Systems, joint kits and boot kits.